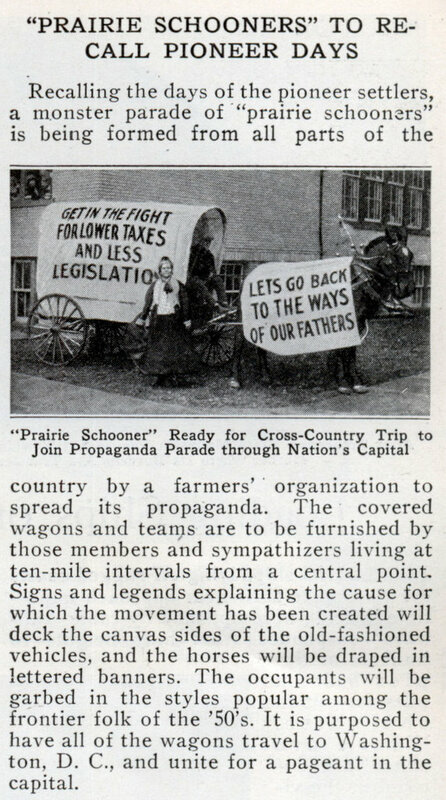 Recalling the days of the pioneer settlers, a monster parade of “prairie schooners” is being formed from all parts of the country by a farmers’ organization to spread its propaganda. The covered wagons and teams are to be furnished by those members and sympathizers living at ten-mile intervals from a central point. Signs and legends explaining the cause for which the movement has been created will deck the canvas sides of the old-fashioned vehicles, and the horses will be draped in lettered banners. The occupants will be garbed in the styles popular among the frontier folk of the ’50’s. 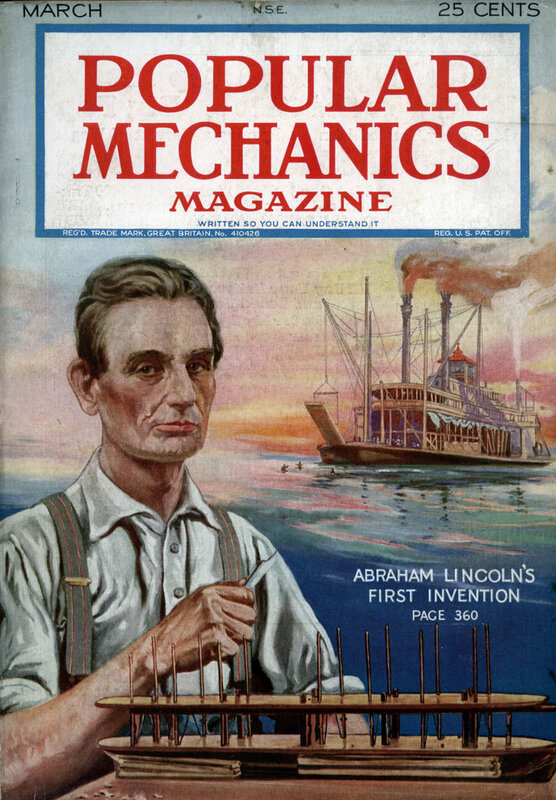 It is purposed to have all of the wagons travel to Washington, D. C., and unite for a pageant in the capital.